Who doesn’t love dogs? While small dogs are great to keep, a lot of families are now keeping big breeds in their homes as well. In this case, one of these big breeds that you can find in many households nowadays is the Rottweiler. Rottweilers are some of a few dog breeds that is characterized with a big, stocky head and a solid, robust body, almost like a giant dog. One type of color that is noticeable in Rottweilers are black. They also have markings that are mahogany to brown color. People often misjudge Rottweilers as killer breeds. This is because of news of them attacking humans. This is not always the case. To be a good owner, it is important to know facts about Rotties. Rottweilers were first bred to be working dogs. In some parts of Europe, they had to round up cattle and pull meat carts for farmers. This is due to their large and muscled build. Nowadays, police departments are using Rottweilers as service and search and rescue dogs. They are also used in the military as well as the airport. Their job is to search and sniff out suspicious items like bombs and drugs. Despite this, Rotties are still great pets to keep. This is because of their calm demeanor. They are also very easy to train. Before bringing them home, it is important to know some things about them. Rottweilers are generally medium to large dogs. Some can be giant. They are notable for their strong and built bodies with a large, stocky head. They can weigh up to 135 pounds and muscles make up most of their weight. Unlike other big dog breeds, they are reputed to have a more menacing figure. This is because of their calm and collected personality. The Rottweiler has short, shiny double layers of fur. This kind of coat makes them easy to groom. The typical coat color is black. They also have noticeable markings that are brown or mahogany in color. These markings are often seen on their chest and snout. Most Rottweilers have a calm and serious demeanor. But, there are those that have a playful and witty personality as well. Some Rottweilers can seem aloof. Others are often friendly and affectionate especially in front of their owners. Rottweilers are known to be dominating and controlling. They can also be territorial especially with dogs of the same gender. They can also be aggressive when they are not controlled. Training a Rottweiler needs less effort as they are already intelligent. But, it is still important to keep them supervised. As they are bred to be herders and workereilers are superior and largely overprotective among their canine counterparts. Rotties are fiercely loyal to their owners can often sense if their owners are in danger. When this happens, they will instinctively step up and protect their owners in dire situations. The Rottweiler may also not be friendly towards strangers and may often not allow them to come near their owners and their homes. The moment an owner brings their Rottweiler puppies to their home, the dogs should already begin training to adjust to their surroundings. Like any other dog, Rottweilers are also prone to develop genetic problems about their health. One of the major health problems for Rotties is hip dysplasia. Hip dysplasia is a genetic impairment common in dogs. This is usually when a femur bone is not aligned with the socket. As a result, dogs may need surgery to correct the misalignment once detected. If this is not corrected, they will experience extreme pain, and may even develop arthritis as they grow older. Other health concerns include their vision, and Rottweilers can contract cataract as well as eyelid deformities. Heart problem is another health concern that such dog can develop, so it is important for them to have regular vet visits and have their heart checked as well. Health problems are not usually detected in Rottweilers while they are still puppies, and some breeders may even say that their line of Rottweilers is clear of diseases despite good breeding. However, it is still vital to have them screened because health problems can come anytime in their life. As Rottweilers are naturally working dogs, it is important to keep them active at all times. Rotties are prone to bloating. This can result in them experiencing arthritis early because of their excess weight. It is necessary for them to be outdoors for walks and playtime. Activities can also include mental stimulating training for their mind to be always alert. Rottweilers are independent dogs and usually don’t mind being on their own. However, they would initiate and step in to situations when they are needed. It is also best to keep your Rottweilers away from high temperatures as they are very sensitive. When they are outdoors, remember to always give them access to shade with a good supply of fresh water. Although Rottweilers are now a common breed, there are certain types that are recognized and acknowledged in dog registries and certified canine organizations like the AKC or American Kennel Club. The two common types of breed are the American and German Rottweilers. These are not your average vanilla ice-cream, apple pie eating breeds. American Rottweilers are distinguished by their tall and leggy stature, as well as a smaller head in contrast to a standard breed. These breeds are born in the United States but a lot of mixed pairing have caused a widespread of breeds that do not adhere to the standard. There are a lot of issues concerning many American Rottweiler breeds to be inherently aggressive and dangerous which is actually false because most of them are bred to docile yet protective. These are breeds that follow the breed standard because they are raised according to what is actually deemed acceptable in a Rottie. Unlike their American counterparts, German Rottweilers are relatively larger and more solid, with a stocky, intimidating head structure. There is a type of Rottweiler that is bred in a different part of Europe and they are distinguished their over-sized body that differs from the breed standards. This type of breed is known Roman Rottweiler. These types of breeds were bred by corrupt breeders only for selling and gaining big money. These are the types that do not follow the breed standard and often the dogs have to pay the price. They are the ones prone to major health issues. There is also a rare breed of Rottweilers and may often be sold at a high price because of its rare qualities. These breeds are often albino, blue or red in color and are commercially proven to be highly desirable species. However, these rare breeds do not usually follow the standard and are said to be a mix of other dogs. These type of Rottweilers are not recognized by the registry and canine organizations and are often disqualified when presented in shows. There’s also the tailed Rottweiler breeds. Typical Rottweiler breeds do not usually have tails and these breeds are often questioned by registry whether they follow the standard and come from a different breed. However, there are still breeders who keep this type, mostly for personal preference. Of course, there is a type of Rottweiler breeds which are the Real breeds. They are called real because they follow the exact standard qualities of a Rottweiler that’s being listed by AKC. In other words, these Rottweilers adhere to strict reproduction guidelines set by major canine registries. In essence, the quality and standard of a Rottweiler would solely depend on the breeder. There are impeccable breeds while there are others that are poorly bred. As a dog lover myself, I’ve always admired the Rottweiler’s stance and collected nature. I also like that they can keep you safe in any distressing event. I believe if we just follow specific guidelines and maintain a reputation as good breeders, Rottweilers or other dogs for that matter, would be reproduced accordingly be it whatever country the dogs came from. Raising a dog may be a pleasurable experience, provided that we give them the best care and invest time and money into it. So, what are you waiting for? 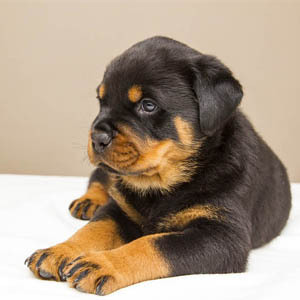 If you want to have a Rottweiler, call CT Breeder – (203) 920-4950.